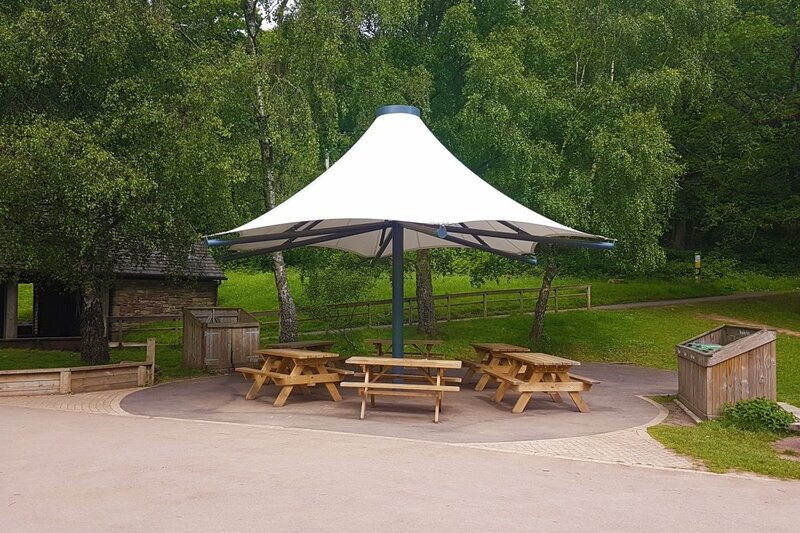 Tensile Fabric Structures designed and installed two new tensile canopies at Beechenhurst Lodge in the Forest of Dean. 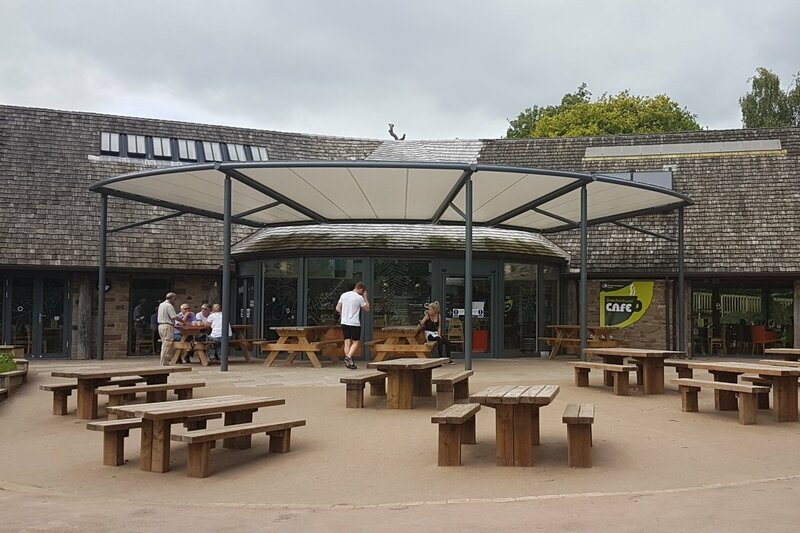 As part of the refurbishment works a new cafe was built and a bespoke fabric structures provided cover over the external seated area and added a touch of design flair! 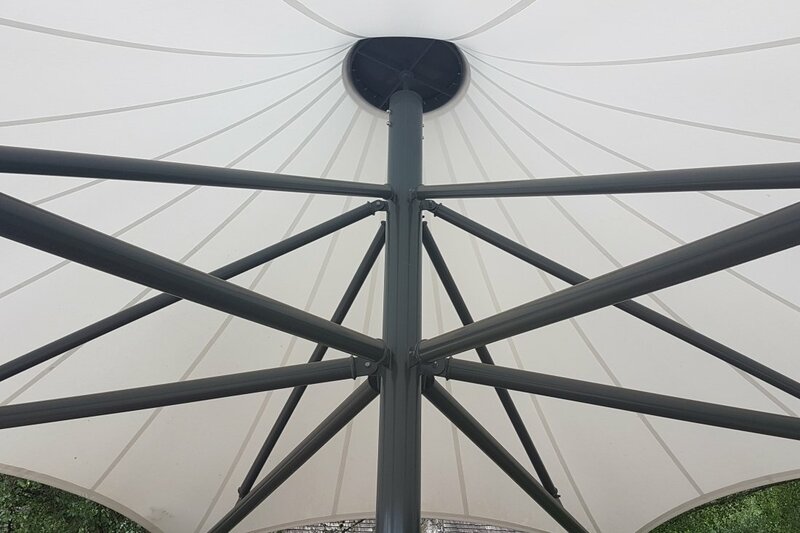 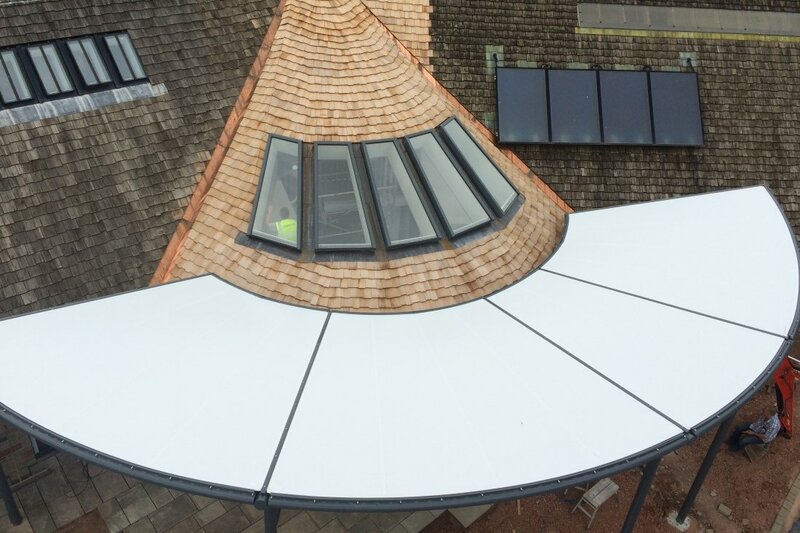 We also installed one of our ready to roll, Sahara 8m diameter Conics over an adjacent seating area.